A new initiative of the College of Liberal Arts is expanding access to historical documents and using big data to analyze everything from medieval texts to Jay Z lyrics. By providing students with an interactive, online map that places the largely ignored story of Native Americans in geographical context, Dr. Haynes and his co-researcher, Ramona Holmes, department head of Digital Creation for the UTA Libraries, hope to change that. 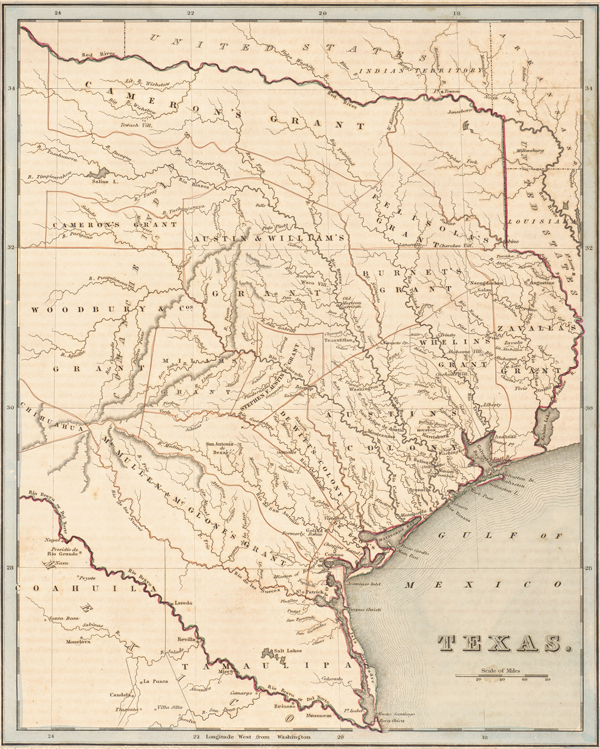 Called “Border Land: The Struggle for Texas, 1821-1846,” the project is collecting data about sites of conflict between Native Americans in Texas from the creation of the First Mexican Republic to the outbreak of the U.S.-Mexico War, then overlaying that info onto both historical and current-day maps to show where these conflicts cluster. “border land” is one of more than a dozen endeavors that are helping the College of Liberal Arts make its mark in the emerging field of “digital humanities.” By exploiting the intersection of humanities and computer science, digital humanities expands access to historical documents and broadens their interpretation. It also gives voice to populations whose experiences may not have been preserved in traditional ways. According to Elisabeth Cawthon, the college’s interim dean, digital humanities is a natural focus for the University, as researchers can take advantage of the wide range of archival materials at the UTA Libraries and the expertise of faculty already using technology to enhance their work. The College of Liberal Arts formalized its Digital Arts and Humanities Initiative in early 2016 by announcing $100,000 in grants to fund 11 research teams with varied themes. Assistant Dean for Academic Affairs Les Riding-In and Chunke Su, associate professor of communication, are working with Cawthon to create an infrastructure for success. w. marvin dulaney has already seen the positive side of embracing digital tools. The history associate professor is working with researchers from Texas Christian University and the University of North Texas to document the oral histories of Texans during the civil rights and labor rights movements starting in the 1950s. The Civil Rights in Black and Brown Interview Database is a free, online repository that will eventually include more than 400 interviews and thousands of keyword-searchable clips. The project is funded by the National Endowment for the Humanities (NEH). Fellow historian David LaFevor echoes Dulaney’s enthusiasm. 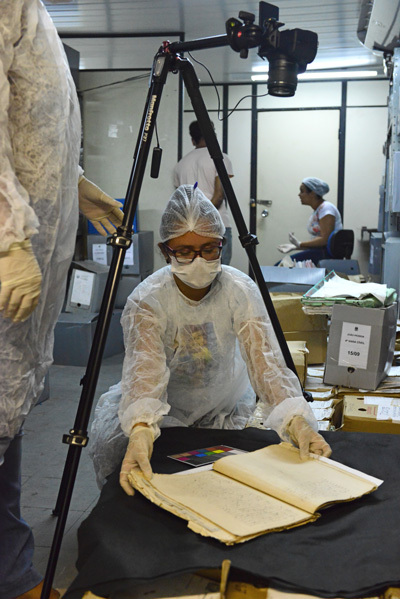 The assistant professor has been working for several years on a digital archive of Roman Catholic Church records that document the African slave trade through Latin American countries like Cuba. 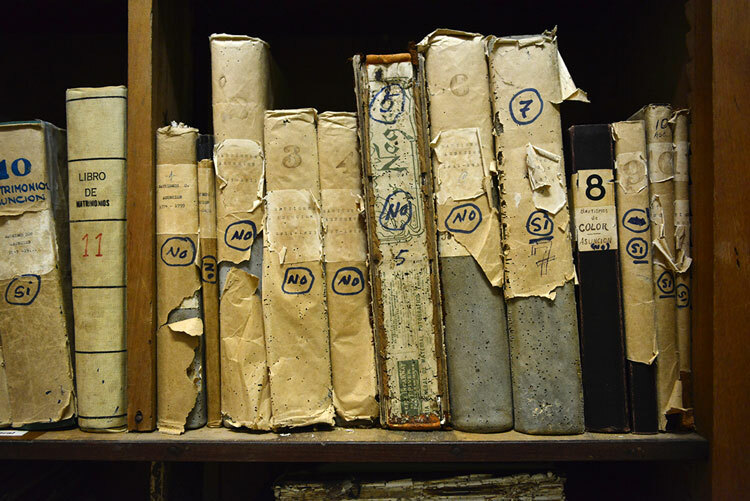 His work, which recently received a $50,000 grant from the British Library Endangered Archives Programme, not only preserves these fragile documents, but also makes them widely available to researchers and family historians. in addition to increasing the reach of UTA scholarship, the Digital Arts and Humanities Initiative aims to spark interdisciplinary collaborations, the kind of work that is encouraged by funding agencies such as the NEH and the National Science Foundation. Laurel Smith Stvan’s project, one of the 11 Digital Arts and Humanities Initiative grant winners, demonstrates the benefits of such an approach. She is leading a multidisciplinary team that includes Jacqueline Fay from the English Department and Sridhar Nerur from the College of Business in using software to compare discussions of health and nutrition from more than 3,000 medieval texts with modern media such as newspapers, blogs, websites, novels, and movies. The results should provide perspectives on how the language of illness and health influences people’s well-being. Dr. Stvan, who is chair of the Department of Linguistics and TESOL, says linguists have been using digital instruments for several decades to examine large bodies of literature. Now, the technology is better than ever. Assistant Professor Kenton Rambsy is putting digital tools in his students’ hands by teaching them to use text analysis systems such as Voyant. In his class, “The Life and Times of S. Carter,” students investigated rapper Jay Z’s work for recurring words and phrases, geographic markers, and social references. They compared what they found with classic African-American literature. Like others at the forefront of digital humanities research, Rambsy and his students shared their work online in dynamic presentations available worldwide. (Read more about Dr. Rambsy’s class in this Dallas Morning News article). That element—the sharing of information—is key. As Holmes notes, delivering research and scholarship in a visual, digital platform is essential if UTA wants to connect with today’s information-seekers. © 2016 The University of Texas at Arlington. All rights reserved.